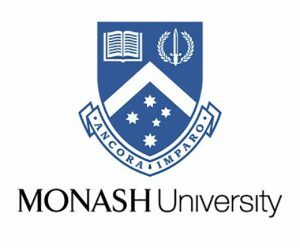 UDI ENJOYS PARTNERSHIP WITH THE MYKOLA ZEROV CENTER FOR UKRAINIAN STUDIES AT MONASH UNIVERSITY, ONE OF THE TOP AUSTRALIAN UNIVERSITIES. Monash University conducts teaching and research in Ukrainian language, literature, history and culture within the School of Languages, Literatures, Cultures and Linguistics. The Ukrainian Studies program introduces students to the second largest Slavic country, its language, culture and history. Since its emergence as an independent country in 1991 Ukraine has turned into a place attractive to foreign observers, investors, policymakers, tourists and academics. Ukrainian Studies at Monash University have strong links with Ukrainian community organisations and are supported by the Ukrainian Studies Support Fund of the Association of Ukrainians in Victoria as well as the Foundation of Ukrainian Studies in Australia, which contributed generously to the establishment of the Foundation of Ukrainian Studies in Australia Lectureship at Monash University.